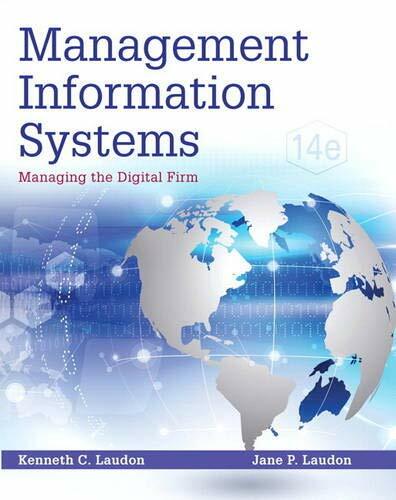 For sophomore, undergraduate, or MBA-level MIS and Information Systems courses taught in MIS, IS, CIS, Business and Management departments. 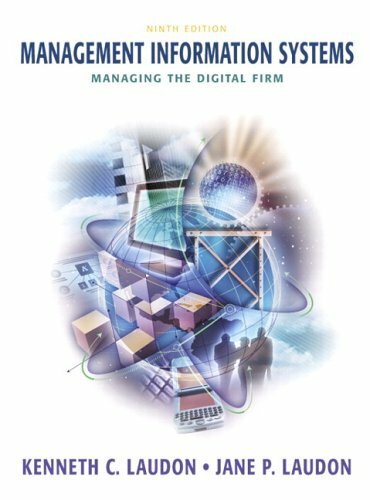 Exceptionally practical in approach, this text prepares students for the constantly changing demands of using information systems as managers in today's fast-paced organizations-first by relating MIS to management, the organization and technology, focusing on the importance of integrating these elements; second by tracking emerging technologies and organizational trends; and third by consistently using examples taken from real businesses, both domestic and foreign. 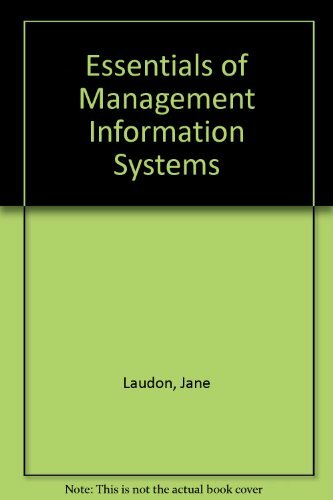 9780130788238 | 5 har/cdr edition (Prentice Hall, November 1, 2002), cover price $131.33 | About this edition: For sophomore, undergraduate, or MBA-level MIS and Information Systems courses taught in MIS, IS, CIS, Business and Management departments. 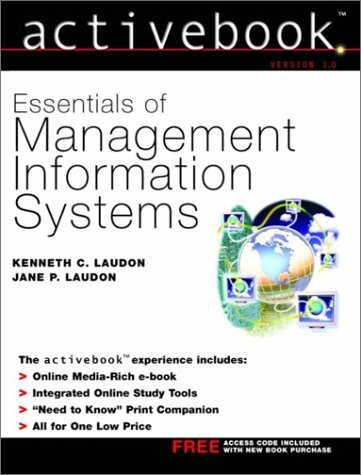 9780130563552 | 4 pck edition (Prentice Hall, July 1, 2000), cover price $169.33 | About this edition: Exceptionally practical in approach, this book prepares learners for the constantly changing demands of using information systems as managers in today's fast-paced organizationsâfirst by relating MIS to management, the organization and technology, focusing on the importance of integrating these elements; second by tracking emerging technologies and organizational trends; and third by consistently using examples taken from real businesses, both domestic and foreign. 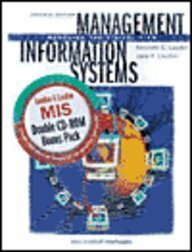 9780130170118 | 3 edition (Prentice Hall, November 1, 1998), cover price $128.00 | also contains One World or None: A Report to the Public on the Full Meaning of the Atomic Bomb | About this edition: For sophomore, undergraduate, or MBA-level MIS and Information Systems courses taught in MIS, IS, CIS, Business and Management departments. 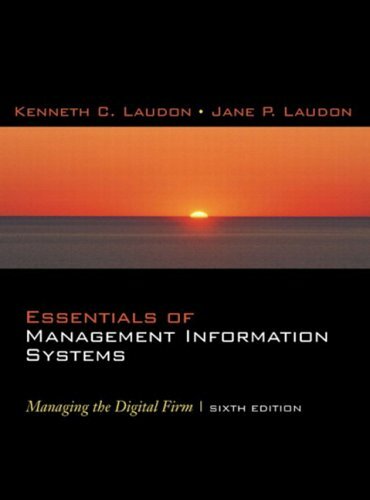 9780137275465, titled "Essentials of Management: Information Systems" | 2 student edition (Prentice Hall, December 1, 1996), cover price $0.01 | About this edition: Exceptionally practical in approach, this book prepares learners for the constantly changing demands of using information systems as managers in today's fast-paced organizationsâfirst by relating MIS to management, the organization and technology, focusing on the importance of integrating these elements; second by tracking emerging technologies and organizational trends; and third by consistently using examples taken from real businesses, both domestic and foreign. 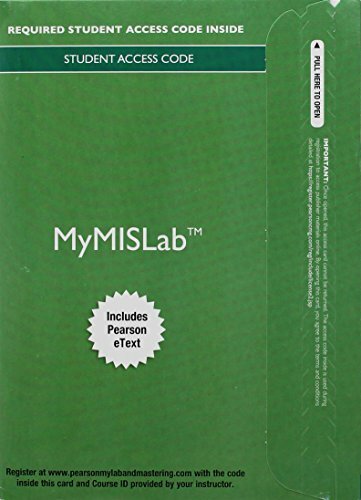 9780131330054 | 6 student edition (Prentice Hall, August 4, 2004), cover price $154.67 | About this edition: For sophomore/MBA-level MIS and Information Systems courses taught in MIS, IS, CIS, Business and Management departments. 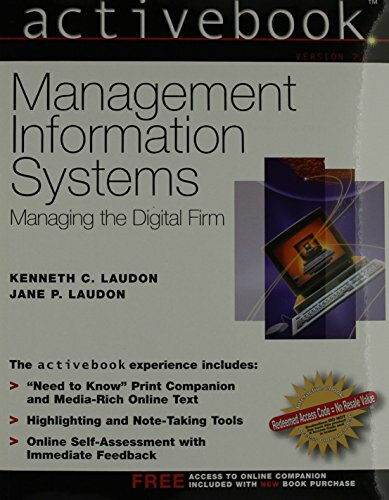 9780130094261 | Pck edition (Prentice Hall, July 1, 2002), cover price $95.00 | About this edition: Exceptionally practical in approach, this book prepares learners for the constantly changing demands of using information systems as managers in today's fast-paced organizationsâfirst by relating MIS to management, the organization and technology, focusing on the importance of integrating these elements; second by tracking emerging technologies and organizational trends; and third by consistently using examples taken from real businesses, both domestic and foreign. 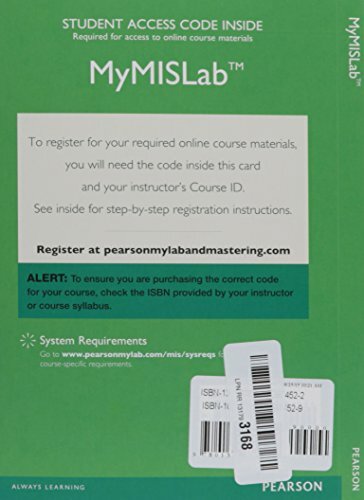 9780130663559 | 7 pck edition (Prentice Hall, February 1, 2002), cover price $99.87 | About this edition: This interactive, online, digital book uses multimedia resources to greatly enhance the learning experience. 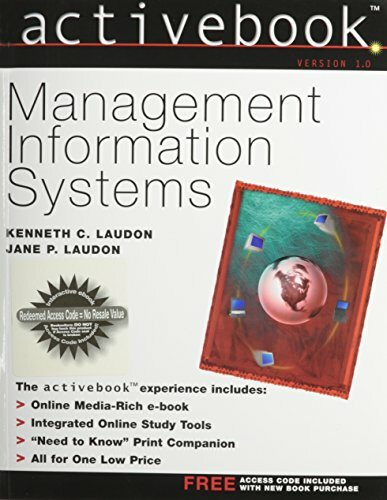 9780130193230 | Prentice Hall, July 1, 2000, cover price $120.00 | About this edition: For sophomore through MBA level MIS and information systems courses taught in MIS, IS, CIS, Business and Management departments. 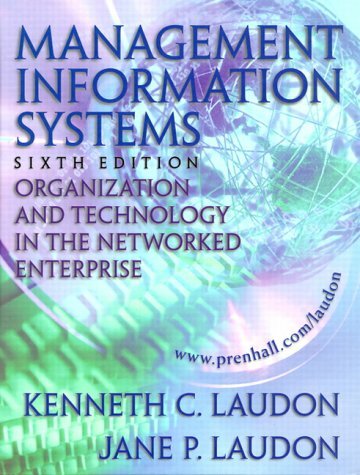 9780030225772 | 4th edition (Harcourt College Pub, September 1, 1999), cover price $105.95 | About this edition: Retaining the proven problem-solving perspective, this text incorporates Internet coverage and its influence on business decisions. 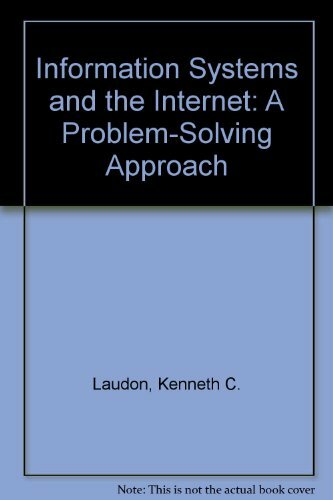 9780030247972 | 4 sub edition (Dryden Pr, June 1, 1998), cover price $104.95 | About this edition: Retaining the proven problem-solving perspective, this text incorporates Internet coverage and its influence on business decisions. 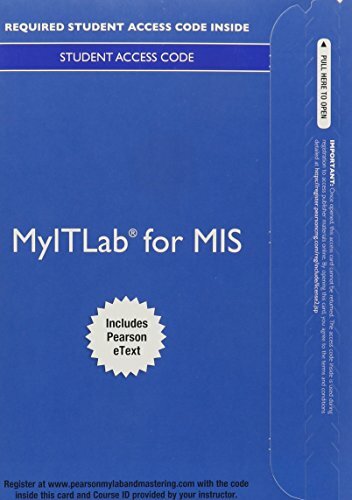 9780130117328 | 6 sub edition (Prentice Hall, June 1, 1999), cover price $98.67 | About this edition: The first MIS text that actually uses technology to teach students about information systems and technology. 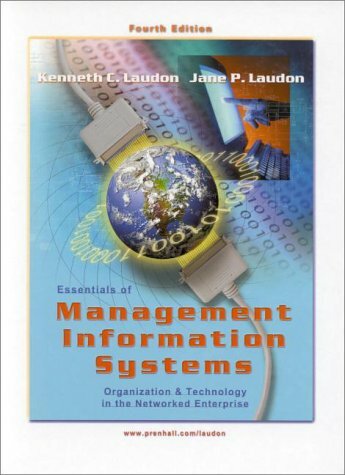 9780130819734 | Prentice Hall, December 1, 1998, cover price $93.33 | also contains Rave Master 11 | About this edition: This text prepares students for the constantly changing demands of using information systems as managers in today's fast-paced organizations--first by relating MIS to management, the organization and technology, focusing on the importance of integrating these elements; second by tracking emerging technologies and organizational trends; and third by consistently using examples taken from real businesses, both domestic and foreign.